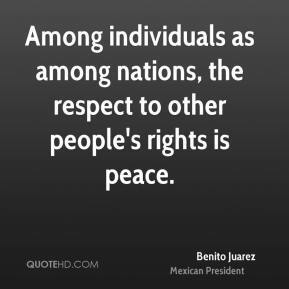 Among individuals as among nations, the respect to other people's rights is peace. Among individuals, as among nations, peace is the respect of others' rights. 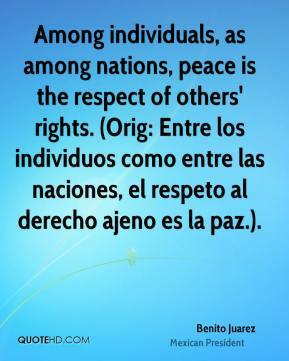 (Orig: Entre los individuos como entre las naciones, el respeto al derecho ajeno es la paz. ).